Love this work by London artist Esther Coombs. 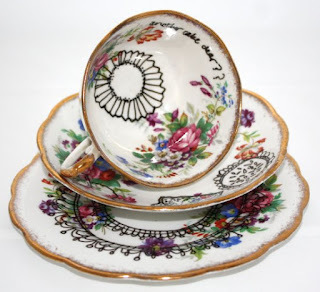 Old tea cups and plates found at second hand shops and boot sales are painted over. 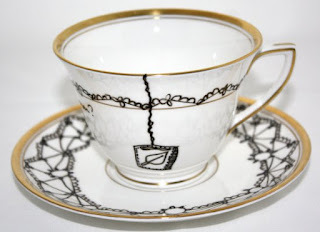 Tea cups sell for about $50 each. 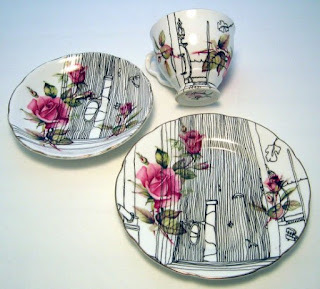 I particularly like the tea cups with little tea bags painted on and 'more tea?' written at the bottom of the cup. You can see Esthers site here.